[URL=http://www.facebook.com/ClearwatersDolphins]Clearwater's Dolphins[/URL], The Pod at Pier 60, is a public art exhibition. It will be on display at Pier 60 Park in Clearwater from Aug. 6 through Sept. 4, 2012. A joint promotion between the Clearwater Regional Chamber of Commerce, the City of Clearwater, Fla., and the Clearwater Marine Aquarium, this exhibition is in tribute to the bottlenose dolphin, which is so prevalent in the area. 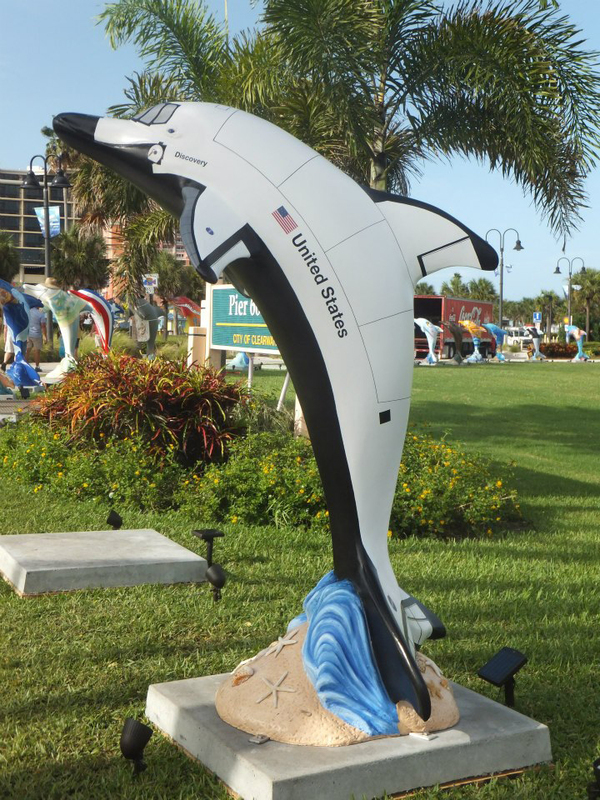 The most famous dolphin of all resides in Clearwater — "Winter", star of "Dolphin Tale". One of 50 themed dolphins now on display at Pier 60 Park is titled "Discovery." It was designed by artists J. Messman, J. Davis and R. & S. Alexander, and sponsored by Sandpearl Resort.